Welcome to the Cherokee Orchard rentals in Gatlinburg, Tennessee! Tucked away in the Smoky Mountains up to the Roaring Fork Nature Trail, these cabin rentals offer the ultimate Smoky Mountain luxury. Ranging from 8 bedrooms to a massive 20 bedroom home, these rentals provide room for all your family and friends. These cabins are all within walking distance of each other, making them perfect for multiple groups, or big get-togethers. They offer an indoor community pool and pavilion as well! Cherokee Orchard provides quite a lengthy list of things to do on your next vacation to the mountains. The complex has its own trolley to downtown Gatlinburg which makes it extremely convenient to visit the nearest attractions and dining. Gatlinburg offers countless local restaurants and shopping and with the trolley, you do not have to worry about finding a parking spot. Cherokee Orchard is a fantastic destination for your next family or friend adventure to the Smokies! 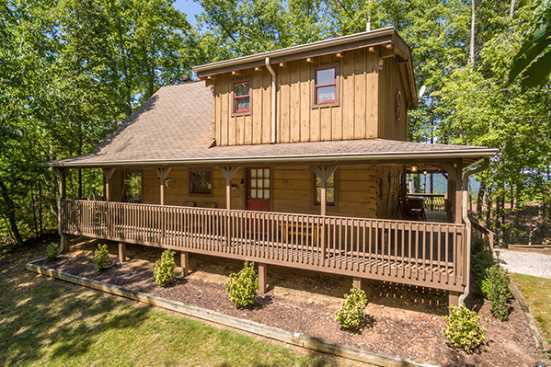 Book Cherokee Orchard Cabin Rentals on the Smoky Mountains By Owners. SMBYO provides several rentals in this community and each listing has an Email Owner button and phone number. This allows you to book your vacation rental directly with the owner or property manager. We hope you enjoy your stay in the Gatlinburg, Tennessee!